What?? Have you lost your mind, Grace? “Merry” Valentine??? What’s going on??? This past November my grandpa (who is 94 and lives in England) fell and ended up in the hospital for a month. Following that he spent a week or so in rehab and then was able to move back home with a lot of help. He recovered from all of his injuries; he’s just burdened with the pesky aging process. Man, getting old is not for wimps!! So this past December, my mom and I spent a month with him first trying to make living at home work, but finally, at his request, we found him a beautiful care home to move to. 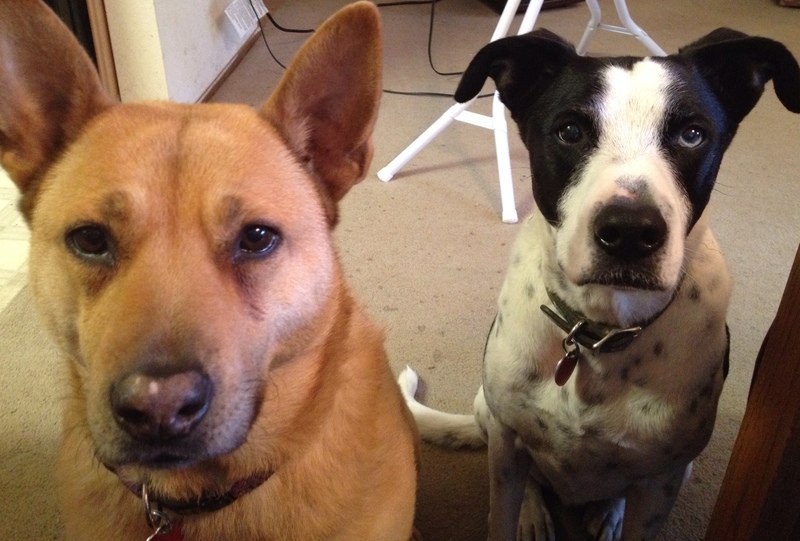 We were able to move him in on New Year’s Day and spend a good week getting him settled. Needless to say we had no time for Christmas festivities and quite frankly wasn’t really in the mood. Our focus was elsewhere. 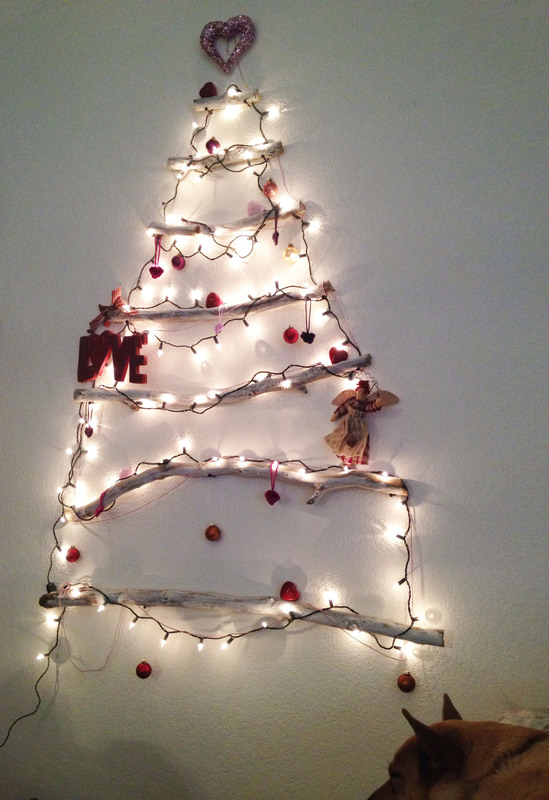 I returned home to an un-decorated house (some would say I was lucky) except for the skeleton of our wall-tree. While I don’t, for a minute, regret spending Christmas and New Year’s helping to care for my grandpa, I did miss my own traditions. So this year will be different. I decided to leave the tree up and I’ve decorated it for Valentine’s. Actually it will be up for the month of February. As I thought about the absurdity of my plan, it occurred to me that spending an entire month thinking about LOVE is completely consistent with Christmas. God sent his greatest gift of Love at Christmas. 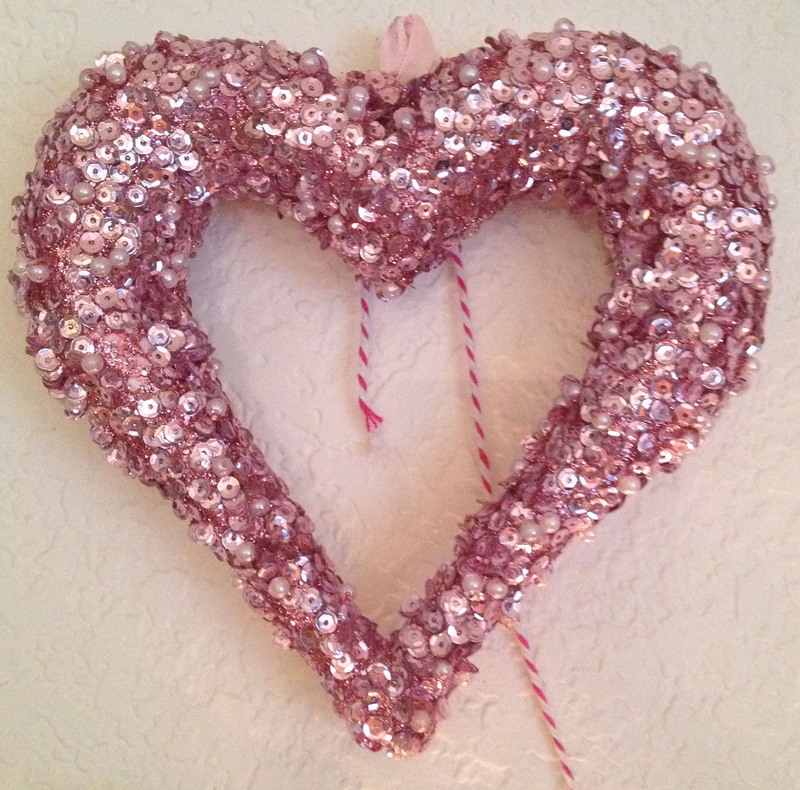 I rummaged through my Christmas decorations and pulled out all the red, pink and gold ornaments, strung white twinkly lights and found a gorgeous sequined heart at Michael’s. 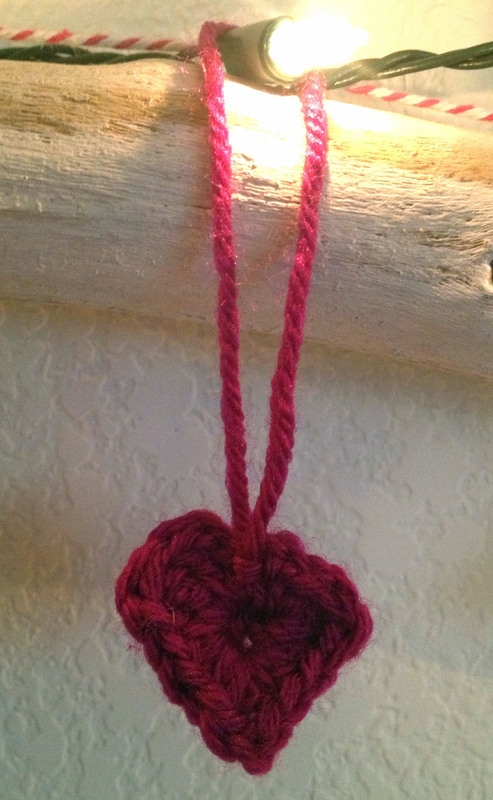 I crocheted some mini hearts with this pattern (I plan to do a few more) and found miscellaneous Valentine decorations to place on the tree. I still have work to do, but this is the tree so far. I think I’m going to like this new tradition. Want to know how we spell Love? 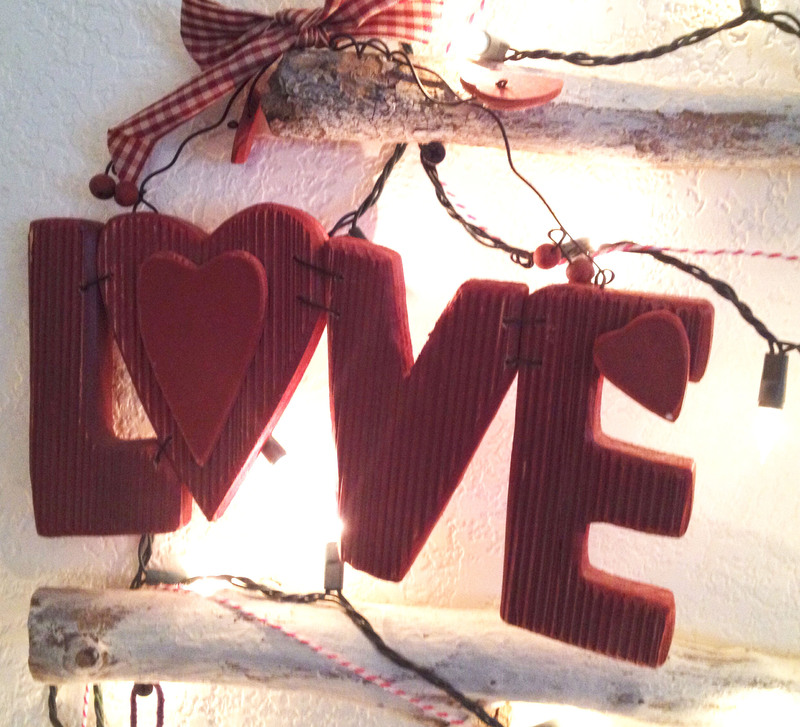 This entry was posted in Crochet, Decorating, Homemade, Uncategorized, Valentine, Yarn and tagged crochet, Decorating, homemade, Valentine, yarn. Bookmark the permalink.